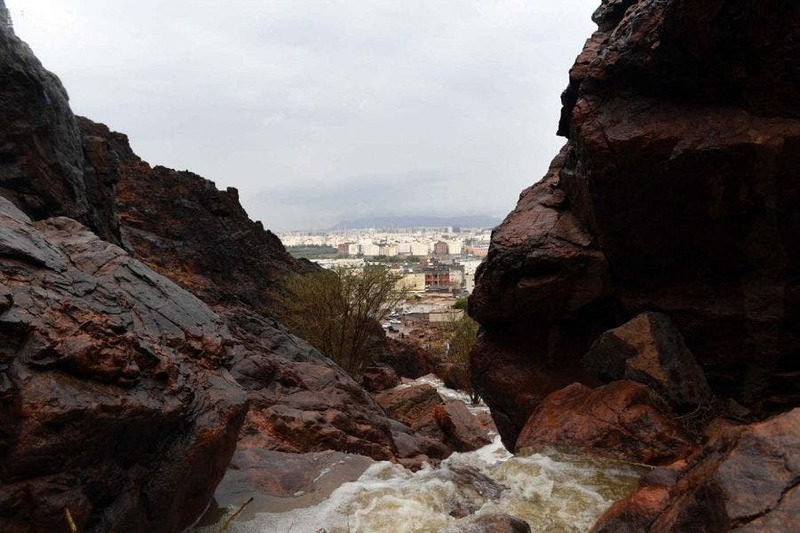 Torrential rain in the last few days in Saudi Arabia’s Medina city and nearby areas enhanced the natural beauty of the vast landscapes from valleys and reefs. 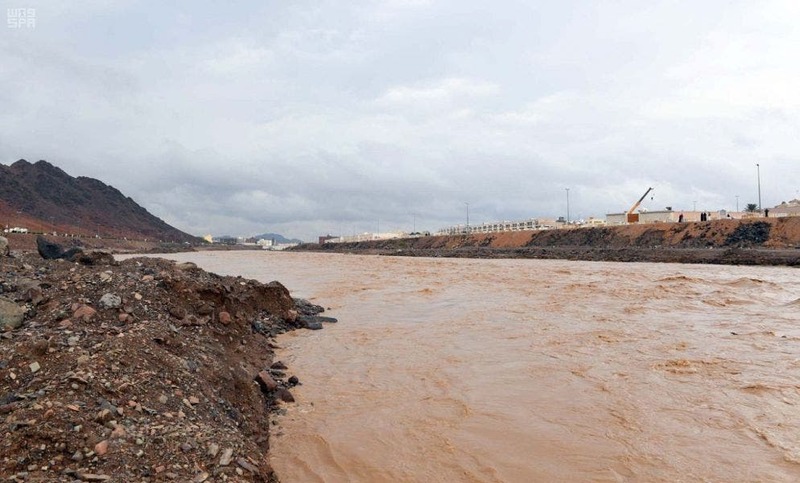 The Saudi News Agency (SPA) documented the flow of torrential rain in Wadi al-Aqiq, the most famous and largest valley, with the water current flowing north through the center of Medina. 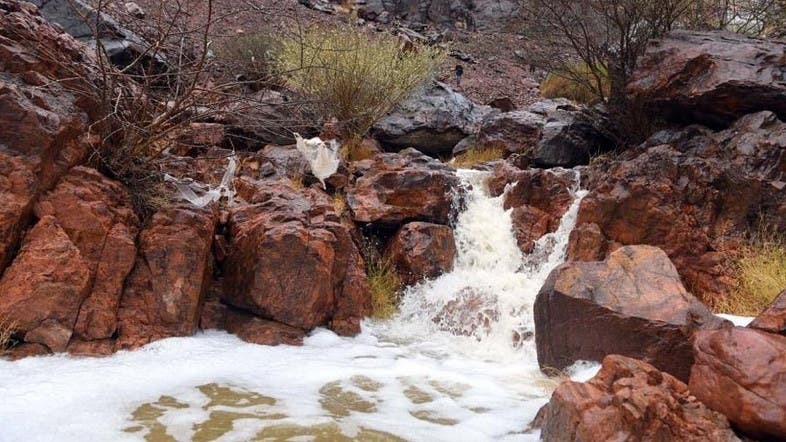 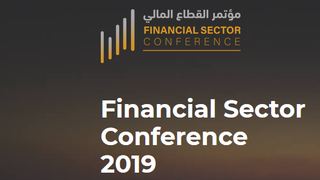 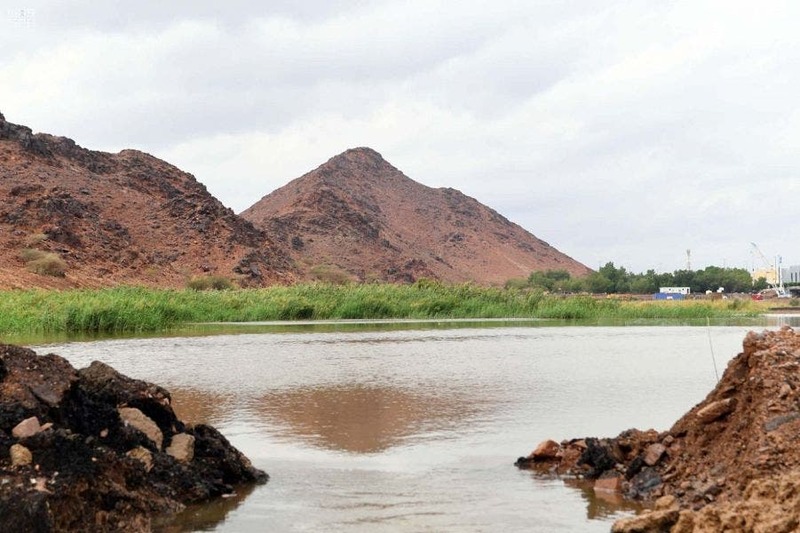 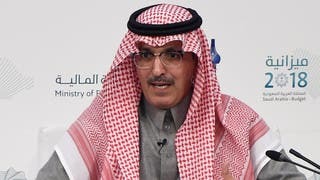 Also flash floods were seen in Wadi Malal, west of Medina, along the Yanbu highway, in the valleys of Al-Melayhil in the north, Wadi Al-Nakheel in the east and the valley of al-Faraa in the south. 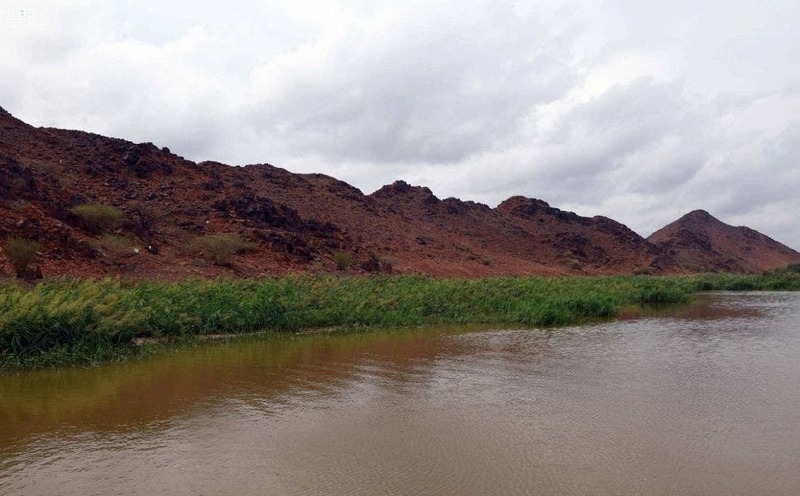 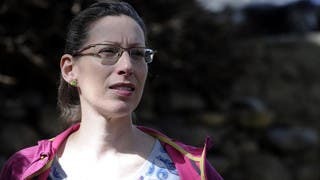 Nature enthusiasts flocked to the region enjoying themselves in the natural parks, not bothered by the heavy rain as this is considered a blessing in a region once considered full of sands and hot deserts plagued with drought.